Hey Everyone! 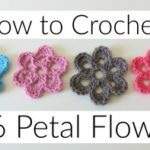 My last video just a few days ago was the magic circle technique video for crocheting in the round. 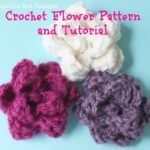 I wanted to have some projects that featured this project, so here is a cute little crocheted flower tutorial for you! 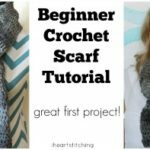 I hope you enjoy this project and don’t forget that if you make any of my tutorials, I love to see your photos! You can upload pics over on my facebook page! I Love to see what YOU make! I crochet hook or 5.5 mm. Start with a Magic Circle. (If you don’t know how to do one, click here). 5 sc in the magic circle. Pull the free end to tighten and slip stitch together. Ch 1. (skip the first stitch) place 1 sc, 1 dc, 1 tr, 1 dc and 1sc in the stitch to form petal 1. Repeat (1 sc, 1 dc, 1 tr, 1 dc and 1sc) in the remaining 4 stitches. Once petals are complete, slip stitch and tie off. Tighten up the magic circle and weave in ends. Click HERE if you can’t see the video! 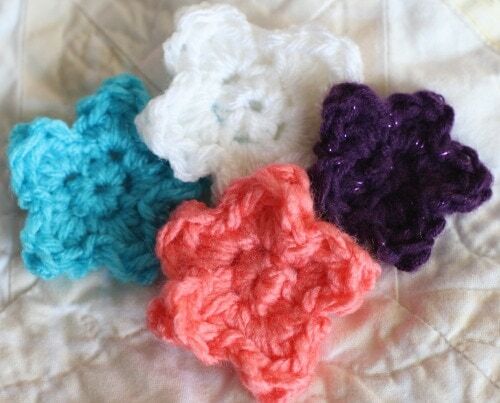 I have recently discovered your videos&blog & you are becoming one of my fave crochet teachers. I have a question for you. 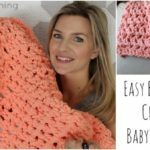 I am a newbie & for now, I like using bulky or super bulky yarn to finish projects quickly & practice stitches. What do you think the so fest budget-friendly bulky/super bulky yarns are? I like Bernat Blanket, but would like to find more color options but still soft. Thanks! !